Gum disease is the leading cause of tooth loss for American adults. Reports indicate that millions of people are unaware that they have gum disease, and about 30% of the population is genetically susceptible to contracting the condition. Other risk factors include smoking, heredity, pregnancy, puberty, stress, grinding teeth, poor nutrition, diabetes, and poor oral hygiene. When gum disease sets in, it destroys soft tissue, breaks the strong bond between teeth and supporting gums, and can cause jawbone deterioration, as well as tooth loss. 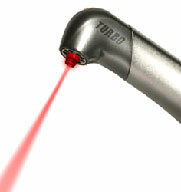 Soft-tissue laser therapy for deep cleanings presents many advantages. 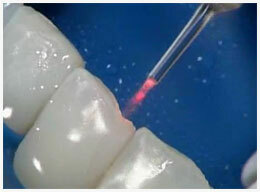 The laser beam seals as it removes damaged tissue, so bleeding is minimal. Because of the reduced trauma, most patients feel better than they would after traditional deep cleanings.